Gord's Aluminum, Chrome, & Stainless / Cleaner, Polish, & Sealer all in 1 bottle! Once again we are shipping to Canada direct from our shop in Texas. All Volume Measures are in US FL OZ. 2-32oz. 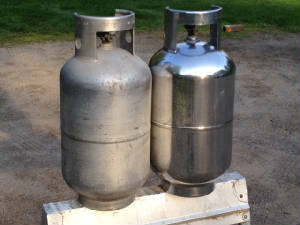 Gord's Aluminum, Chrome & Stainless / Cleaner, Polish, & Sealer 64 fl oz. Gord's Polish removes oxidation and corrosion from all grades of aluminum, Gord's also removes surface rusting from chrome. When restoring metals after YEARS of neglect - Coatings, and oxidation must be removed with vigorous scrubbing. Please provide photos for accurate, and fast solutions. 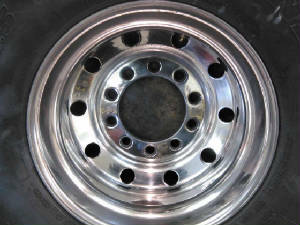 If you need any polishing services in the Central Michigan area give us a call. 361-643-3998 Mirror Shine Everytime! Gordon invented for his own personal use on his Freightliner, a Superior All Metal Polish that's better than any Polish/Sealer all in 1 Bottle on the market today. Gord's™, a completely universal all metal polish in ''1'', removes heavy oxidation & surface rusting from Aluminum, Chrome, & Stainless Steel without any prepping except soap & water. C.C. 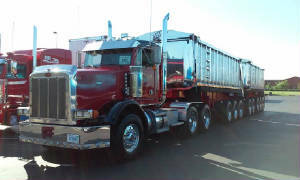 Freightliner, Discount Tire CC, and a few Driver friends asked him to bring his secret to the market. We do details daily, thus standing behind our product and every process that we give you. Gord's Polish can clean Aluminum, Chrome, & Stainless Steel at -15F to 120F degrees no matter what the outside conditions are. Chosen the Best Super Strength Cleaner, Polish & Sealer all in 1 process, it prevents Oxidation from returning. 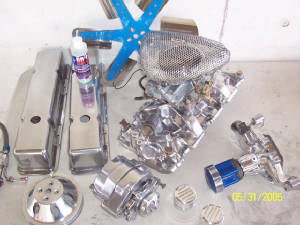 ·Restore Aluminum to "Like New" condition with Gord's™ Cleaner, Polish,& Sealer all in 1 process! ·Remove Surface Rust from Chrome without Scratching, and remove Yellowing from Headlights, too! ·Remove Salt Water and Acid Brightener staining with Gord's uniquely formulated Polish/Sealer like none other. Gord's Polish is 15 times less abrasive then most polishes on the market today. 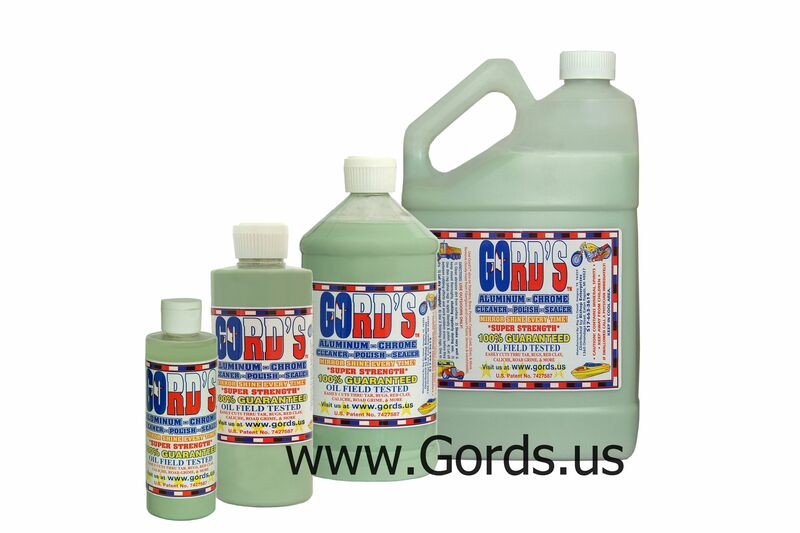 Gord's Polish uses powerful soap based cleaning agents, not Ammonia or harmful acids to clean. Gord's™ uses Non Abrasive components & cleaners to help cut through the grunge faster than any other. 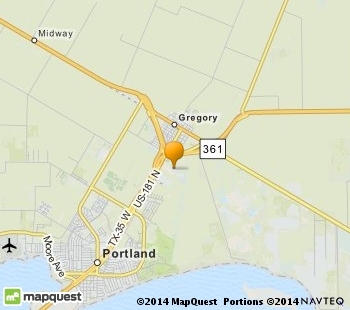 Gord's™ is "Oil Field & Gravel Pit Tested & Approved!"" Gord's™ has been proven time after time to be a Universal Polish/Sealer that even Diesel Fuel & Antifreeze can't get through. Gord's™ Cleaner - Polish - Sealer in 1 bottle has a longer lasting shine than any other Cleaner - Polish - Sealer on the market today. Gord's™ Polish/Sealer utilizes many different Polishing & Cleaning techniques. Gordon is a US Navy Veteran (Seabee's), Certified Mechanic, Truck Driver - Hazmat Hauler, and Inventor now brings his formula available to you. Do you need answers, when everyone else wants money? Have you ever stripped Aluminum and then wondered what to do? Use Gord's™ and a red shop rag. 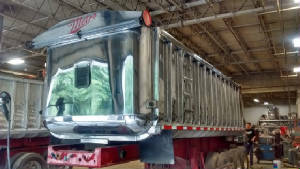 Gord's™ gives a Mirror Shine to all grades of Aluminum. Gord's™ is easy to apply and even easier to remove. Gord's™ will clean and WILL NOT harm Anodized, ClearCoat, Gelcoat, & Powder Coated Rims. It cleans all the Staining, Crud and Surface Rust off painted rims, too. Polish out White Water Stains and Seal all in 1 application. Gord's™ even removes minor bluing from Chrome and restores Diamond plate when used with Gord's™ (0000) Steel Wool restoration process. We accept Visa, Mastercard, Discover, & American Express. Credit Cards are processed through a Secured Encryption Server. We ship US Mail, UPS upon request. After sitting in the heat and salty humidity of the South Texas Gulf Coast, everything still washes right off. Gord’s has been Time Tested 17 months on a Diamond Plate Tool Box, 13 months on the Gregory Fire Dept. 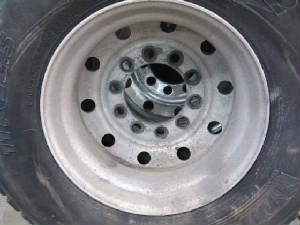 Truck, and 12 months on an Airstream travel trailer. Re-shining is Easier! Polishing turns into Preventative Maintenance after the First Time you use Gord's™. Start enjoying your polishing efforts now! Through testing, it is known that 24 hours in direct contact with salt water does not harm the sealer or shine! It is way too hot on the South Texas Coast to use polishes that don't last! Hard working Semi Trucks go 3 or 4 months and the Sealer/Shine is still there. Motorcycles get 6 months +. 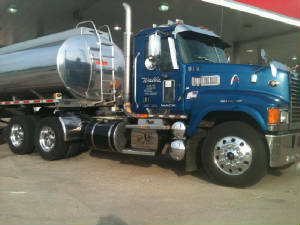 The time to polish a semi truck's tanks, wheels, and more has been cut from 3 or 4 hours weekly to 1 or 2 hours monthly! Mobile Detailing Available in the Corpus Christi, and Central Michigan area only! 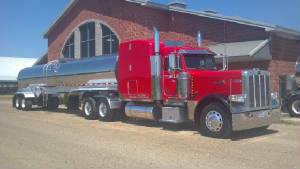 We detail Airstreams, Fire trucks, Motorcycles, Tankers, Gravel Trains, and Semis. We also Polish Brass, Copper, Gold, Silver, Clean Lexan Headlights, remove surface rust from Chrome, and also remove scratches from Aluminum. Gord's™ is a Family Owned & Operated business. 100% Made in the USA! No more spending hundreds of dollars for multiple products to do what Gord's™ can do with 1 bottle. Remember, Gord's™ is NON-ABRASIVE, easy on your surfaces, your nose, your hands, and your wallet! Gord's™ is unlike any polish you have ever used. 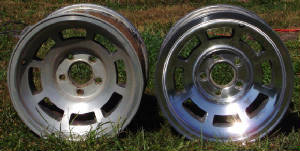 Don't throw away your filthy rims, "RESTORE THEM."